Millions of people in America are experimenting with drugs like marijuana and cocaine. While some people are able to remain casual drug users, many people go on to abuse drugs. In order to understand drug abuse, we must first understand the difference between drug use, drug abuse and drug addiction. When someone begins to use drugs, the beginning stages may seem more casual. At this point, the substance use is an occasional thing. Someone might smoke pot on their birthday or use LSD at a party. At this stage, the person is still able to control his or her use of the substance. While they will still feel negative effects associated with a substance – the rapid heart rate and paranoia sometimes associated with methamphetamine, for example – for the most part, the user will still have a pleasurable experience with the substance. When the person begins to have a tolerance for the substance, the stage of drug abuse begins. She or he will have to keep using more and more of the drug to achieve the same desired effect. Psychological and physical dependence can begin at this point. The person may experience uncomfortable withdrawal symptoms if he or she doesn’t use the substance, particularly with opiates. At what point does drug abuse become drug addiction? Usually, when an individual doesn’t have control over the use of the substance. This is the point where the drug controls your life. Attempting to quit will result in withdrawal symptoms. 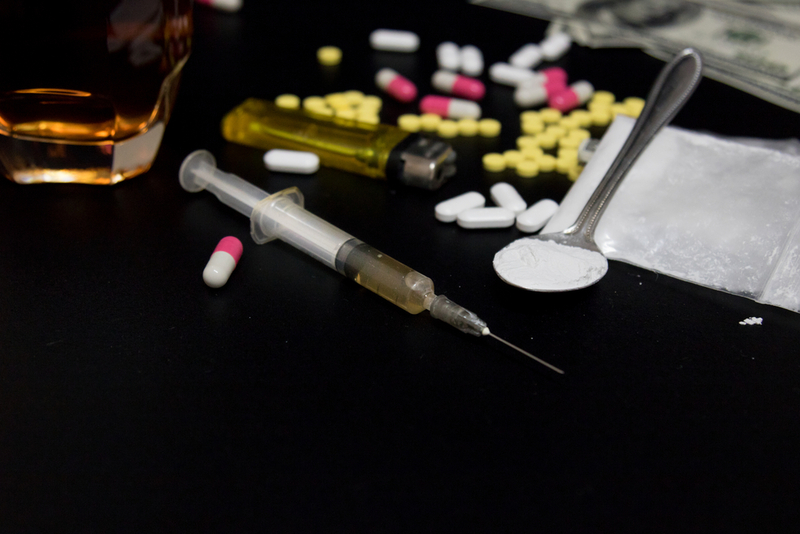 There are numerous factors that contribute to the likelihood of drug abuse. Background of family and culture, genetics, social influences and environmental factors are all examples. Individuals who have co-occurring mental health disorders are also likely to abuse drugs. Whether you are abusing methamphetamine, opioids or prescription benzodiazepine, the more you use the substance, the more your body depends on it. It doesn’t take much for drug abuse to become drug addiction. While the symptoms and signs will be different depending on the particular drug that is being abused, there are certain symptoms that are similar with multiple substances. There are a number of ways an individual who struggles with drug abuse can seek help. Some substances – like benzodiazepines or opiates – have strong withdrawal symptoms when an individual stops using them. In these cases, medically-supervised detox is advised. With certain substances, the detox process can be incredibly dangerous, even fatal, if attempted alone. Drug rehabs offer treatment programs (both inpatient and outpatient), which are the most effective way to treat drug abuse. Treatment programs are offered at different levels depending on the circumstances of each patient. Regular meetings are offered by groups like SMART Recovery and Narcotics Anonymous for those who struggle with drug abuse. Recovery meetings are an essential part of any aftercare program once you have finished a treatment program. For those who struggle with the abuse of certain substances, medication-assisted treatment may be necessary. Drugs like methadone and buprenorphine are given as an opiate replacement therapy. Also, drugs like naltrexone are given to reduce cravings for alcohol and drug abuse. If you’re thinking about treatment for your drug abuse, one helpful thing to do is look into drug abuse centers like The Recovery Village Ridgefield. Located near Eugene, Oregon and Vancouver, Washington, our facility offers several services for the treatment of drug abuse. Reach out to us today to begin your recovery journey.